Sometimes I wish I had a crystal ball so I could see what the future will bring but I know part of life’s beauty is the journey to the unknown, that if you did know what was coming you might not like it and want to change it or you’d become too complacent to actually make it happen. I’ve never really believed in the power to see the future and I’ve never visited a tarot card reader or anyone like that but when things are going tough or I’m struggling I do wish I had the power just to see a glimpse of the future and know it will all turn out in okay in the end. I suppose that’s what faith is all about, being optimistic, believing in your dreams etc and I need to work harder at having that myself. Life really doesn’t work out the way you plan and sometimes that is frustrating but there’s also joy in it as well. You are constantly surprised and even though you might take a road you never planned to take, it might turn out to be a better path and will lead you somewhere wonderful. I suppose it comes down to choices – decisions we make everyday that take us forward. These may be hard or easy but they shouldn’t be underestimated. Some things happen to us not through choice and these are the hardest to accept but again maybe in time we’ll see something positive come out of them – a silver lining maybe or the fact they made us stronger, better people afterwards. I sometimes believe in destiny or fate, that some things happen for a reason and what’s meant to be will be but I also believe we have the power to make choices, to choose what path we take and ultimately what people will leave this life us. We make our own futures everyday through our actions and words and whether there is a greater plan for ourselves or not, we should never give trying to be the people we want to be or taking the journey we want to take. Right now I’d like to take a peek into that crystal ball but I know that if I was meant to see how my life will pan out I would see it. I need to take that leap into the unknown and have a little faith that my dreams will come true one day and I must take the paths that are right for me. Would you like to see into your future? Have you ever had a reading about your future? Excellent post. The fun of the journey is the trip itself, not so much the destination. I don’t want to know my outcome,but I do want to enjoy feeling my way there! 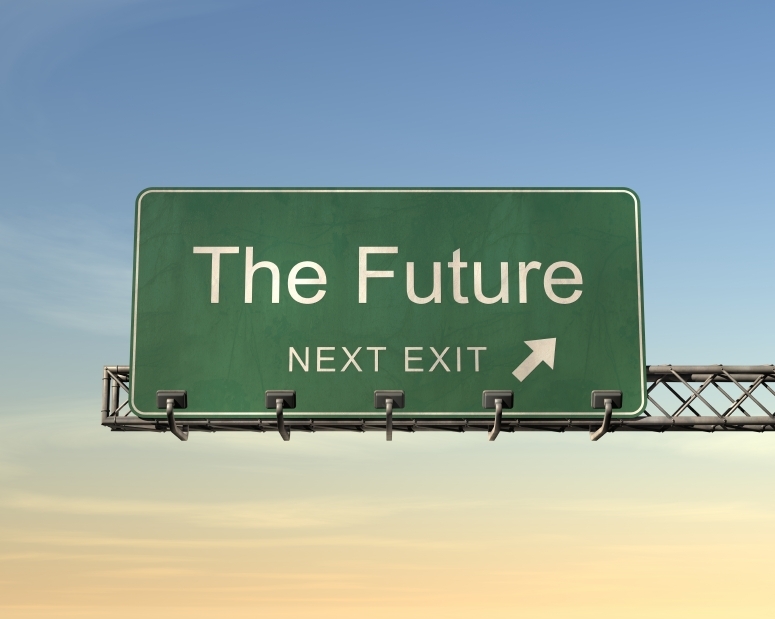 Can you imagine how many things we’d do differntly and miss out on if we could peer into the future?! I definitely believe that everything happens for a reason. I know you’ll find the right path! I’ve done a card reading once before, and it was really weird. Kinda freaky too. Now if I want to know my future, I just try to live life in such a way that my future will have to be bright..aka I just got a new job!!! AH!!! So pumped! I know you’ll find something that will make you smile all the time girlie! Aw so pleased for you, yay! Ah you’re so lucky Rach, I love how happy you are! Great post! I’ve never had any one look into my future because frankly I think they’re pretty much scams, I definitely believe in the supernatural though and I feel like that stuff is sorta opening a door to bad things. Plus, I don’t want my dreams spoiled, thats part of the fun! 🙂 Though I definitely agree sometimes it would be great to know! Yep we need our dreams! Haha yeah lottery prediction would be amazing! I had a psychic read my cards at a metaphysical convention, but she contradicted herself multiple times and I’m pretty sure she was a faker. Yeah I think there’s some dodgy ones out there! When I was younger, I used to believe I could see the future. I’d have these dreams–at night–that’d go horribly awry. I’d seem to be stepping into them during the day, which would leave me with an anxious feeling during those “deja vu” moments. So I’d step left instead of right depending on what I’d done in my dream, choosing to avert disaster. I can’t say how much of that was childhood imagination, but I do know I was pretty convinced. It did leave me with an appreciation for how small choices could make large differences in outcome! I wouldn’t want to see in the future, I don’t think. I’d be tempted to know all kinds of things I’d only fret about. For much this reason (as well as others), I’ve never had a reading done, either! Wow that would have scared me as a kid I think! I believe that we can take “wrong turns” and “make mistakes” . . . but that they can be turned to our advantage over time with the right frame of mind (and good karma). That said, I would like to how much time I have left. Hmm karma is interesting, does what go around come around? I guess we should live everyday like our last! In a way, I want to see into the future to know if I will be happy but I believe part of the adventure is mystery! Much as it would be so tempting to take a look into the future…I think that the wondering and the mistakes and the worrying are a very important part of the journey. True and it’s helpful to learn from mistakes and grow as a result! I prefer the unknown. It’s half of the fun! The “mistakes” we all make along the way make us who we are. I’ve had my tarot cards read a few times! Getting a reading can be risky if you buy into it too much… if you seriously believe it and a clairvoyant or someone tells you for example that your husband’s name will begin with an F, you might pass on a Joe, no matter how great they are 😉 The good ones I think don’t tell you too much though. Living life is a journey from which we learn, and hopefully enrich our lives on the way. I wouldn’t want to know my future because it might spoil the journey. Yeah I can see that, if you take it too seriously you’d miss out on living! I think I’d be too scared to know my future… having said that, if I knew it, could I, perhaps, change it? I never had a reading done, purely because I don’t believe it… But I do beleive in destiny. That’s it, you’d want to know of could change otherwise what’s the point in living?! I agree! Wow never heard of that way to read fortunes, I’m not a fan of coffee so not sure that’s for me 🙂 I bet your class loved it! I’ve had tarot cards read, done I Ching, analyzed my dreams, and tried out a deck of oracle geometry cards. I do stuff like this sparingly now. I think that the answers are all inside of us and when we practice divination we can tap into to them. The trick is not to take the readings too literally, because we might have a tendency to project our wishes on to them and misinterpret. Interesting, I’ve always thought it was mainly women who wanted to know thier future not sure why. Sounds like you have a sensible attitude to it! I wouldn’t want to know the future. Which is funny, because I like to peek at the end of books sometimes and movies and shows. I just want to be prepared, should I get emotionally invested. In life I have to be emotionally invested. But I think I could use more optimism right now, some patches in life are a bit more difficult and seeing the light could be nice. I guess I have to try to be my own light. Ah I hope you find the light at the end of the tunnel! I always think I need to be more optimistic too, I suppose sometimes it’s hard to see past the tough patch but I’m sure something great is on the horizon for us both! Sometimes I wish I could catch a glimpse of the future as well. I’m actually going to a fortune teller/palm reader person in a couple weeks for the first time ever. I think it’ll be interesting. Ooh cool, I hope you post about it! 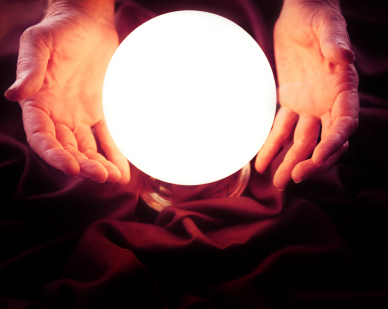 I have taken a peek into my future with tarot card readers, palm readers, and even a well-known t.v. psychic’s psychic son. The tarot card reader was good, the palm reader made a prediction I’m still waiting to see if comes true, but the psychic’s son was the biggest disappointment of all. Anyway, life has turned out great, and I no longer question what is ahead. Just came across this right now and it couldn’t of came at a perfect time I’m sitting in a hospital bed with my 5 year old son fighting Cystic Fibrosis and I have to make some really tough choices for him and his future and I wish I had a crystal ball to see if i am making the right choice but we can never do that so I put my faith in Gods Hands and Pray for the Best.